Pastor Francis will truly be missed. When still a young man he resigned from a promising football career with Muli Muli All Blacks, accepting the call of God to succeed his father (and grandfather before him) as Pastor of Muli Muli Full Gospel Church. Pastor Francis led the Muli Muli Christmas rally into its 100th successive year, possibly making it Australia's oldest and longest-running Pentecostal convention. He also maintained a busy itinerant ministry in which many all over Australia found hope, salvation, healing and the baptism with the Holy Ghost. He faithfully held forth the Word of Life, ever loyal to the old-fashioned Pentecostal Gospel message. In addition, he was an anointed Gospel musician with a golden voice. 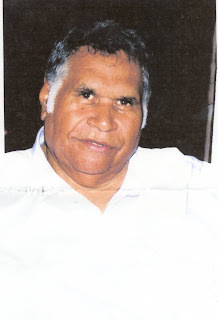 He was awarded the Good Citizens Award for Aboriginal leadership by New South Wales Parliament in 2001. The Woodenbong State School Principal announced the creation of the Francis Bundock Scholarship in 2007. Pastor Francis was known most of all for his love. He was both Pastor and friend.